Kelly Lenihan has always approached life from a unique vantage. Often inspired by nature; her discoveries in nature, food, and art fuel her creativity. Through her writing and art, she delights both in sharing her knowledge and helping others perceive the world with new eyes. Kelly earned a B.A. in General Arts from the University of Washington as well as an Associates Degree in Business. Over the years, Kelly worked as an associate editor, marketing manager, marketing collateral designer, publicist, web designer, and content manager. Throughout her life, an innate passion to write and to create have been the impetus for her life and career choices, including stints in editorial positions at magazines—both print and online. Passionate about sharing her love of curiosity, creativity and exploration, Kelly started writing books for children in 2012. With over 10 published children’s picture books (two are in four languages), she writes fiction and nonfiction for ages 2-10. 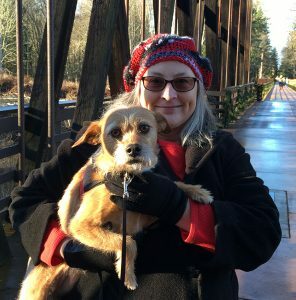 As a freelance writer since 1993, she’s also been published in various magazines and enjoyed her own newspaper column for several years, focusing on global arts and crafts and exploring nature through science and art, including hands-on projects – enjoyed by librarians, school teachers, and parents/family/caregivers of young children. She also taught horticulture and global arts to grades 1-7 in a Montessori school. Today, Kelly is an active food blogger, avid birder and hobbyist photographer. Following her lifelong penchant for writing and the power of stories, Kelly is working on more children’s picture books, as well, she has a couple cookbooks in the works. In addition to authoring her own books, Kelly enjoys assisting indie writers with their own publishing journeys. If you’d like to follow along with Kelly, please add your email address to her personal mailing list.